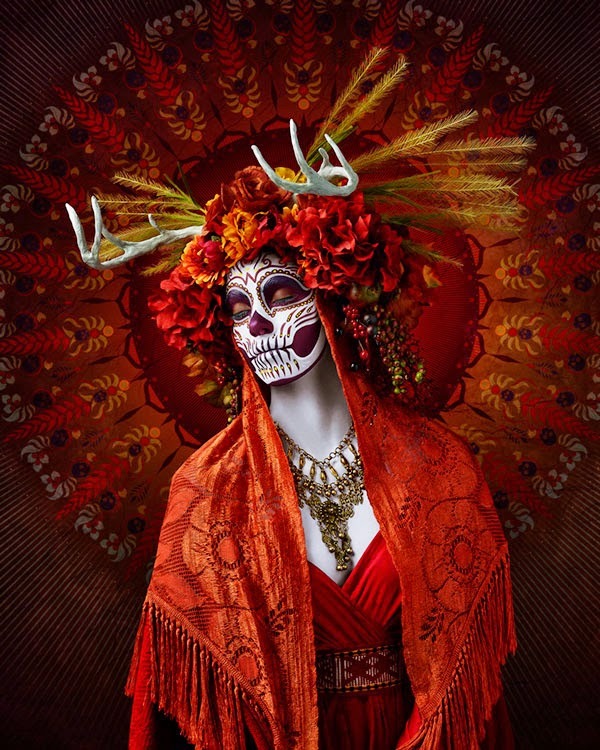 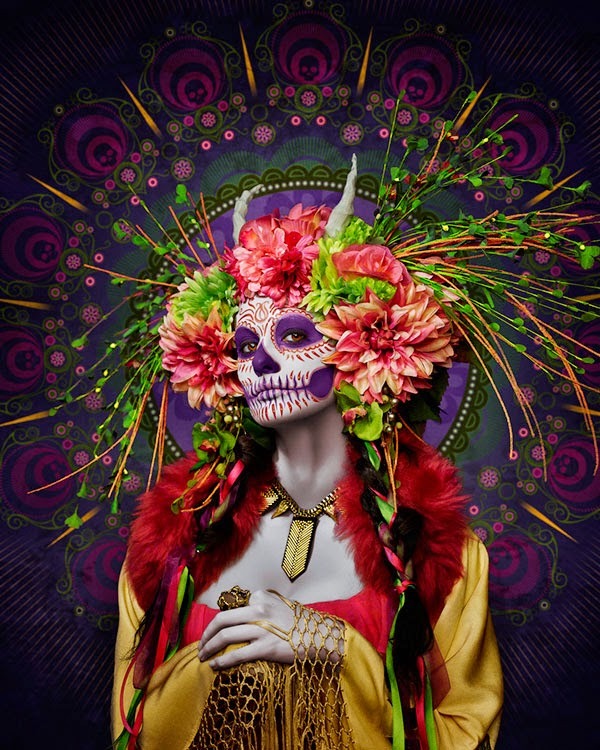 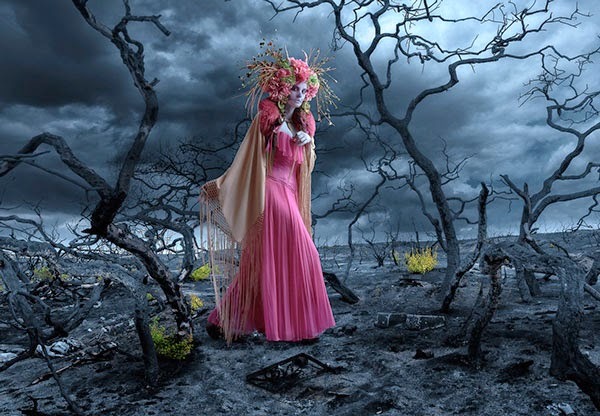 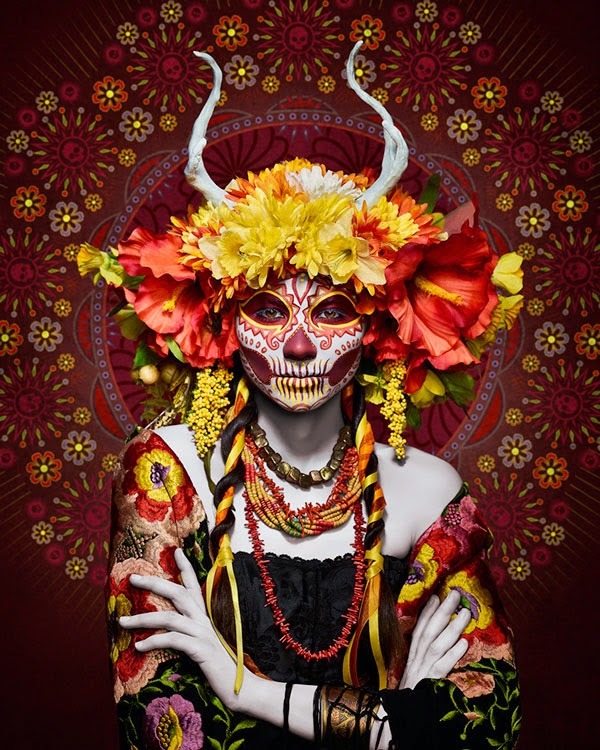 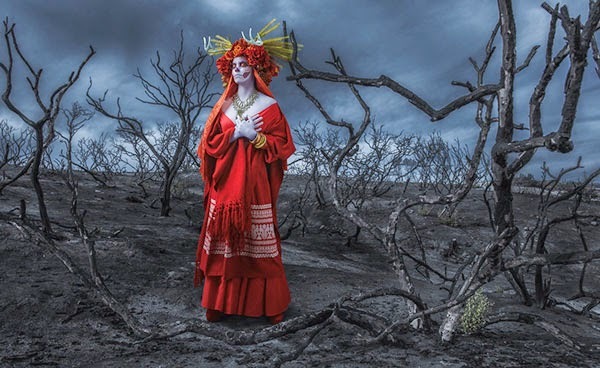 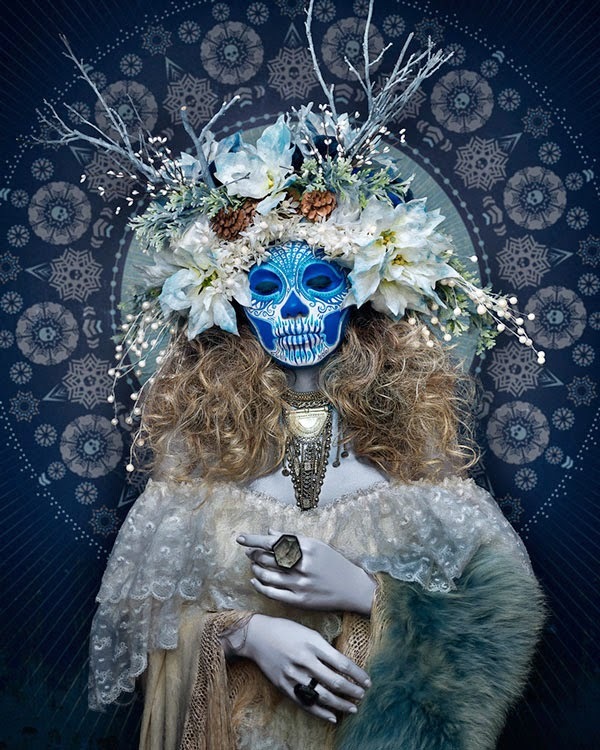 Conceptual photos by Los Angeles-based photographer Tim Tadder as a tribute to the traditions of Dia De Los Muertos (Day of the Dead). 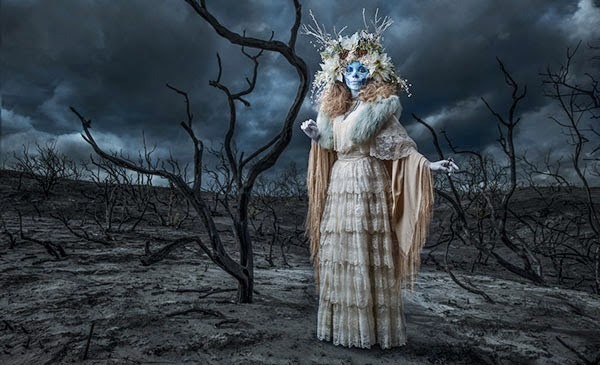 The photoshoot was a collaboration between visual artists including Krisztianna, a Los Angeles artist who hand-painted the models, illustrated the portrait designs, and crafted the Winter, Spring, Summer, and Fall set, and Julia Reeser, a wardrobe and prop stylist based in San Diego. 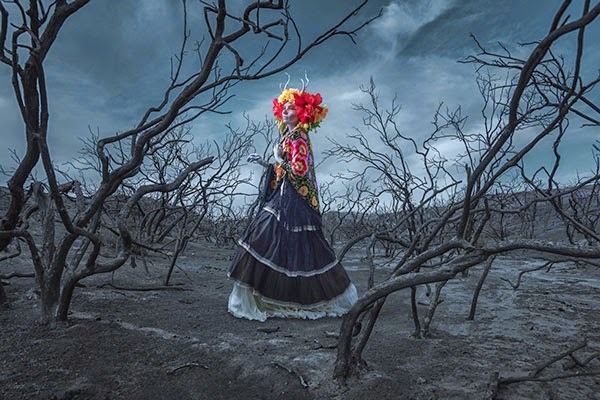 Set on a stormy day over a wild fire scorched earth, the combination of color, destruction and foreboding storm makes a surreal tribute to the Mexican holiday.